Mental illnesses and neurological disorders affect every fourth inhabitant of the small South American country of Guyana. Moreover, according to the World Health Organization,this small nation of less than a million people reports the highest sucide rate in the world. 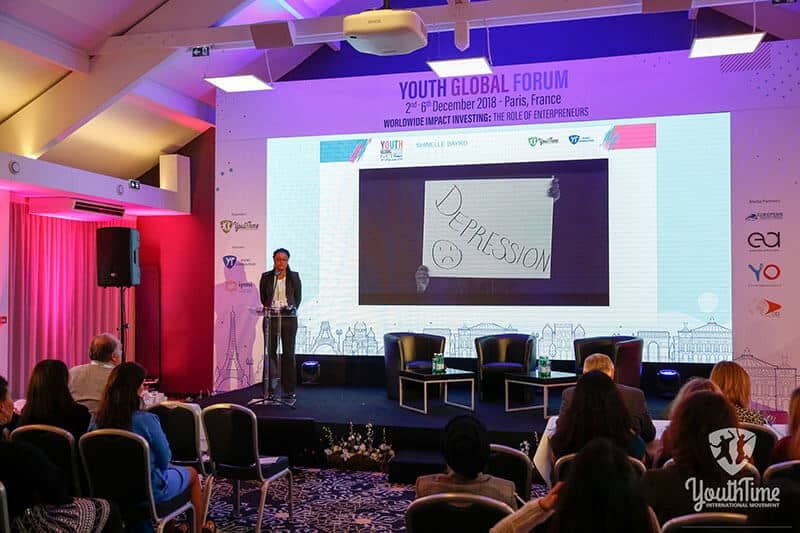 One of the project presenters at Youth Time’s Youth Global Forum in Paris, Shinelle Bayrd, decided to raise the general awareness of this problem and promote the possibility of improving the overall physical, mental, spiritual,and emotional wellbeing of people in Guyana. 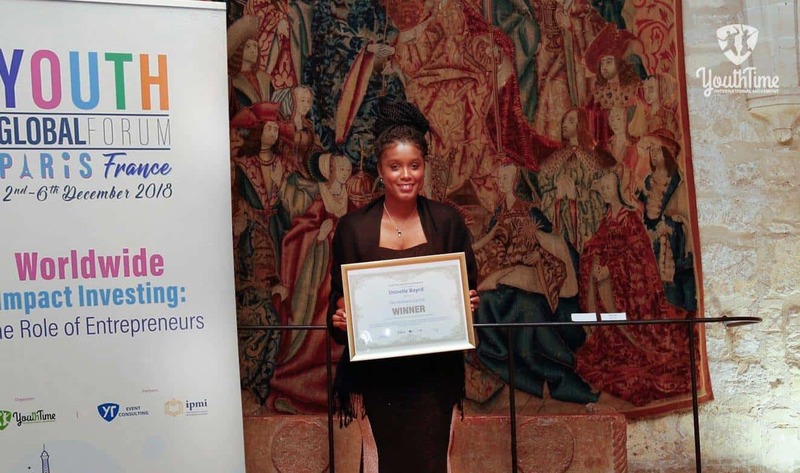 Her project – called the Wellness Center – was awarded the first place and recieved a realization grant. 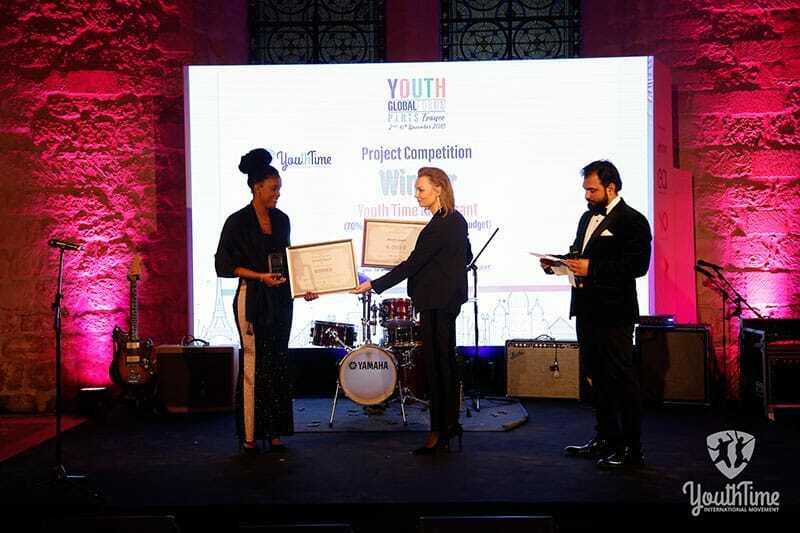 In an interview withYouth Time magazine, she talks more about the difficulties people face in Guyana and her ideas about how she plans to change the situation for the better. After your presentation,when people who were present in the room stood up and started clapping, did it cross your mind that you actually might be the winner among the 15 project presenters? Honestly, no. I thought that I had touched people, and that was why they reacted that way. But I thought everybody was really strong, so I obviously didn’t consider myself the best. I just took it as a really nice reaction. Had you already presented this project elsewhere, or was this your first attempt to get funding? It was the first time I had presented it to awide audience, however it was not my first attempt to get funding. I’ve tried before. I have received promises to sponsor the project should it be succesful. How has the idea of the project developed? 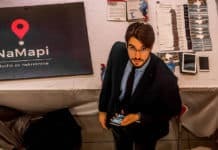 In 2016,I attended the South American Business Forum and was a student speaker, so I did a paper on happiness and while doing it needed some statistics. So I went and checked it and realized that Guyana hadthe world’s highest suicide rate, which I did not know. From moment, I realized that this wasa serious problem. This was not only effecting me, this was effecting my country as well,and I concluded that it wasimportant to do something about it. Can you talk a bit more about the figures? According to the World Health Organization,in 2014 Guyana reported the highest suicide rate in the world at 44.2 per 100,000 people; a staggering number given a population of less than a million people. The Pan-American Health Organization has placed suicide among the leading causes of death in Guyana among young people between the ages of 15 and 29, and the number one cause of death of men under the age of 45. So there is a tremendous need for mental health care services in Guyana. With a population estimate of 750,000 people, it is predicted by the WHO that 75,000 to 112,500 Guyanese probably suffer from mental disorders and require some level of mental health care services. What is this problem related to? It obviously has social roots, but can you eleborate a bit further. The main cause is depression,which is due to high poverty and unemployment and a lot of alcohol abuse. Those are basically the three major factors. But those factors do not have a direct impact on young people who, as you mentioned in your presentation, also suffer from mental disorders. The main challenges for young people have to do with finding opportunities to study or work, and these opportunities are scarce in Guyana. There are opportunities, but outside of my country; and if you try, you might get them, but not at home. There is a lot of corruption, so unless you know somebody you wouldn’t be able, let’s say, to get a scholarship or get a job, especially a job. I hold two degrees, and it took a year before I got a job. I actually got a job just two months ago. Everybody was surprised saying, “You are good at what you do and you are trying, but there is still no one to give you an opportunity”. What is your next step? Today you won a grant, what will you do once you are back home? I will start with working on building a team, I would like to create a strong team that will help me with the project. I already have people around me from the Guyana Foundation who will help with the project, as well as the organization that employed me, as they are looking at mental health as a part of their social responsibilities, so I will be heading that up for them. How do you plan to have an impact on people who face mental disorders? We will start with an awareness campaign. This is actually the first part of the project after we start. We want to let them know, that it’s okay, that this is a serious problem in our country and we need to be aware of that and if you have this problem – we are here to help you. And of course I am going to share my story, because I am struggling too, and I have to help other people who also struggle with depression. And as for those persons who have actually attempted suicide, I’ve agreed to share their stories. As a project competition winner, you will be asked to present an update on your progress and achievements at the next Global Forum. How do you see your project one year from now? I hope that I will manage to generate the results that I have presented. I would like to have a positive impact on the lives of at least 150 people and hope we will manage to help even more. So next year I would dream about saying, okay my country is still number one in terms of suicide rate, but perhaps within the next few years it might be 10th. And what if we were to speak about not just about one year, but let’s say 10 years? I don’t plan to stop at any time, I will do my best to ensure sponsorship throughout the years ahead, so we can continue this program, because it is a problem that has been with us for a number of years, we can’t anticipate solving it in just one year. So we need to get to the point where the rate will be significantly reduced. That is the plan. A lot of ambitious young people from so-called third world countries prefer to put all their effort into just getting out of the problems of their home countries and emigrating. What makes you stay and fight? I really and truly believe in my country. We have a huge brain drain problem. The minute our young people graduate, they try to emigrate. But I had to stay, I know what I have gone through, and I know that there are other people who are coming up. I have young cousins and so forth, and I don’t want them to face what I have faced. I know that I can create some positive change, so I am staying so I can do it. 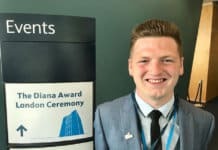 Diana Award Winner Keiran O’Toole: Speak Up. Speak Out. Remember How Amazing You Are! 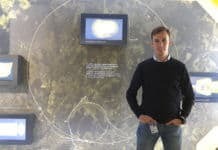 Scientist Nikola Rasevic: Ignore the Expectations of Others, Conquer the World with Knowledge! France, among many things, is known as a country of universities. The country is the fourth most popular nation for foreign students and despite the substantial hike in the fees for foreign students this year onwards, it’s unlikely that the desire to study in France is going to wane. You find students of virtually every nationality in this country. Though a significant number come from the UK, USA and Australia.